I used to have a copy with this alternative cover, which i purchased in Melbourne in the early 90s...pristine. Unfortunately i sold most of my vinyl around 2000. Didn't realise it was so valuable ! 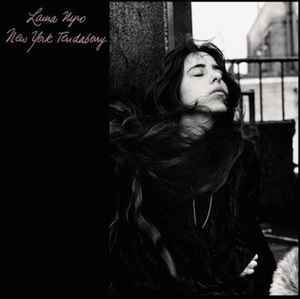 It's not my favourite Laura Nyro album, but the cover photos are truly beautiful ! I'll probably never see it again . "Made in New Zealand by a registered user of the trademark"
This one is marked on the back cover as AAD so it will be an early transfer and to my ears it sounds good, probably better than later CDs. This is the best version on vinyl of the album. Better than Pure Pleasure release. It's obvious about the quality of the master tape. Same distortion problems are found on both version. The CD remaster is good, but you can hear that they did all they could to makeup all the tape problems. There is also a 1969/1970 Japanese pressing of this album on Sony records, SOPL 267 - comes with an insert and obi. Not listed on Discogs for some reason. A very good quality pressing. Don't think it's from 1969 though given that it comes with an inner sleeve showing various artists and advertising 'The sounds of the 70s'.